Disclaimer: There are some really cute dogs here! Get it from LittleSunshineTeez on Etsy for $29.99 (available in sizes S–5XL and in 10 colors). 2. A magnetic bottle opener to use after a ~ruff~ day at work. 3. 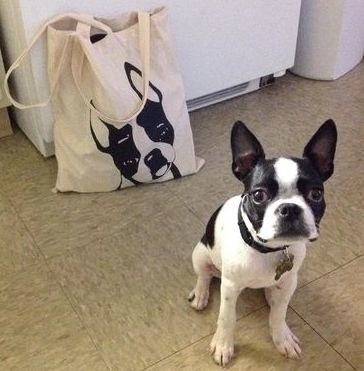 A handmade tote bag covered with an image of a rescue pet — it's pugging adorable. Get it from Amazon for $14.99+ (available in two sizes and 28 breeds). 4. A Dapper Dog subscription box so they can be as surprised and excited as their four-legged child. What you get: two yummy treats, two fun toys, and a stylish bandana in a special monthly theme. Get it from Dapper Dog for $35+/month. 5. 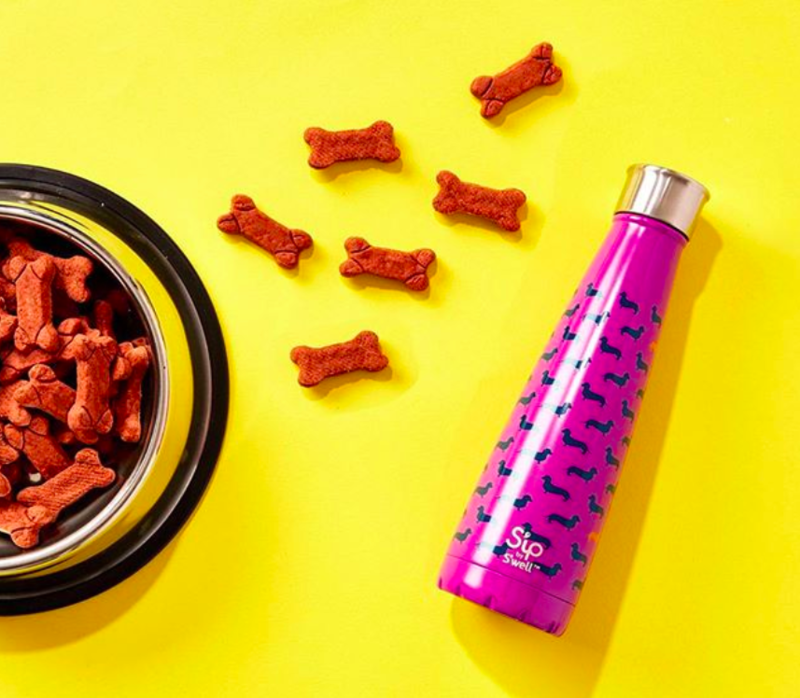 Or, a BarkBox monthly subscription full of goodies, toys, treats and... more treats. What you get: two all-natural treats, two unique toys, and a chew to file those canines in a fun monthly theme. Check out what BuzzFeed writers thought about these subscription boxes in detail after trying them out. Get it from BarkBox for $35+/month. 6. 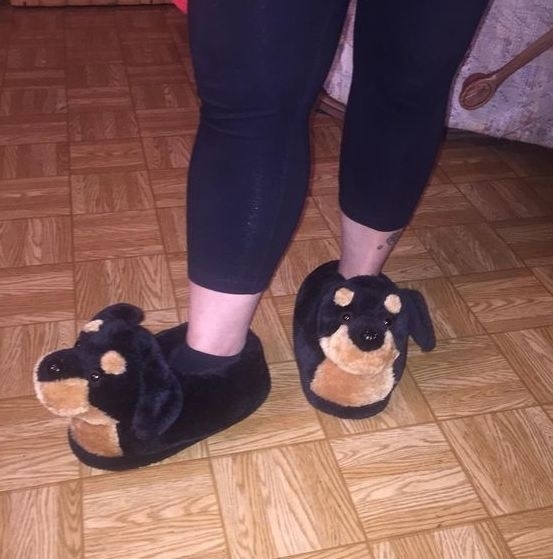 A set of doggy socks so they can have ~happy feet~ for five days straight. Get a set of five, one-size pairs from Amazon for $9.99 (available in seven designs). 7. A dachshund corn holder because corns and hotdogs go hand-in-hand at a Bark-B-Q. Sorry, that was a little corny. I'm done now. Get a set of four from Amazon for $5.59. 8. 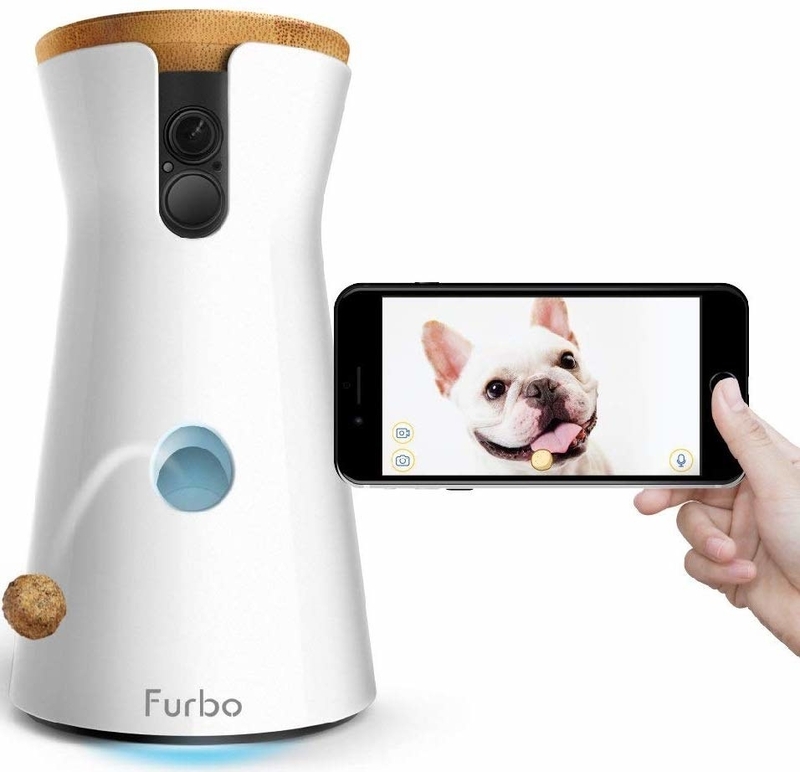 A Furbo treat-dispensing two-way camera with audio — it's basically a PAWsome solution for easing their guilty feelings every time they leave the dog at home. It's is compatible with Amazon Alexa for extra convenience and allows any pawrents to see and talk to their pets anytime, anywhere — from the comfort of their phone (even at night thanks to HD camera with night vision). It also allows them to feel reassured whenever they leave the pets unattended, due to bark/noise sensors that'll send a notification straight to their phone. 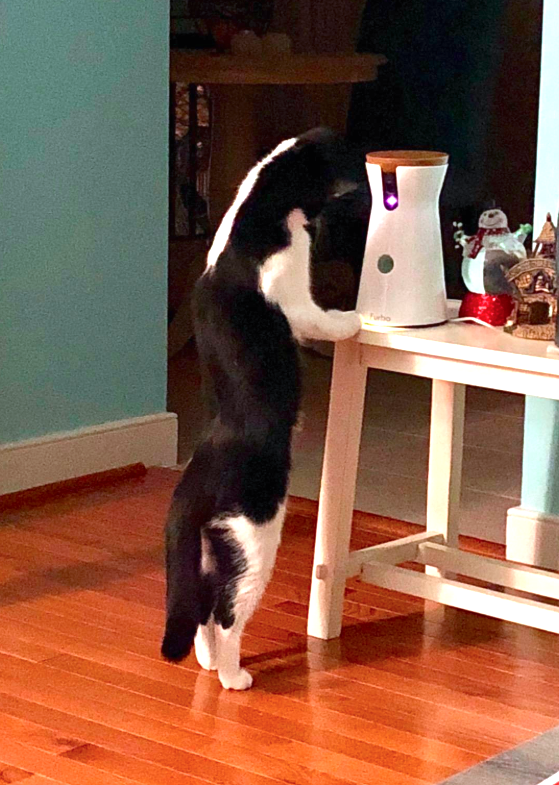 Pssst, cats love Furbo too! Check out what BuzzFeed writers thought about Furbo in detail after trying it out. 9. 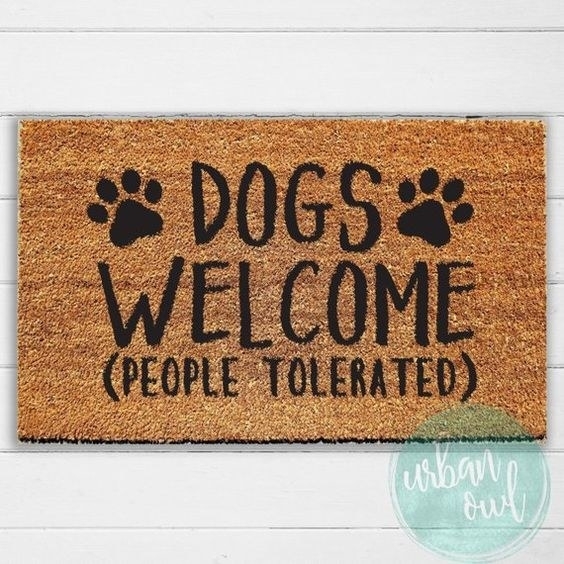 A *welcoming* doormat that's oddly not offensive because they can relate. Get it from UrbanOwlHome on Etsy for $44.95+ (available in two sizes and 12 text colors). 10. Or, a sign to reiterate how they feel about other humans. 11. 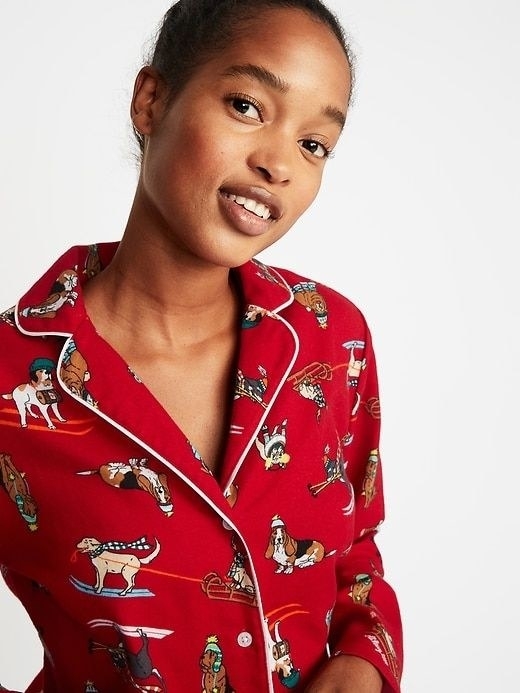 A ~com-fur-table~ pajama set featuring the jolliest bunch of pups. 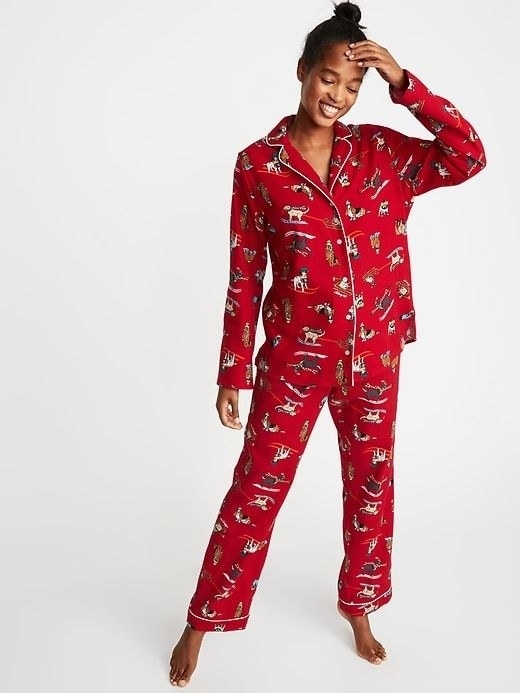 Get two-piece set from Old Navy for $34.99 (available in sizes XS–XXL, in regular and tall lengths, and in plus-size 1X–4X). 12. A mini succulent pot that they'll actually want to maintain. Also, can we talk about this #SquadGoals? Get it from Amazon for $7.99 (available in 25 styles). 13. A poster of a dog reading the paper on the toilet, perfect for any empty white space in their home. Get it from Amazon for $15.99+ (available in four sizes). 14. A matching shirt set with their fur baby that's fur-real the cutest thing, ever. 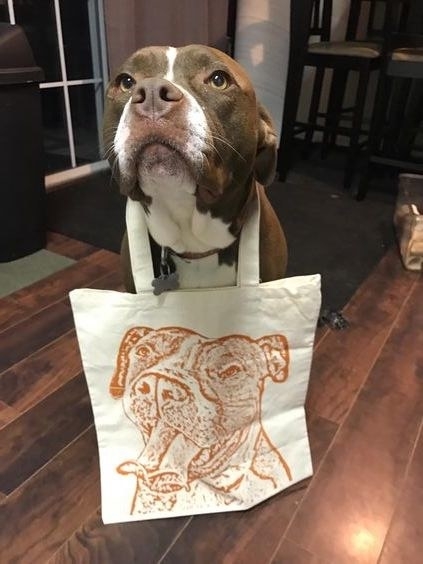 Get a set from Lolawawas on Etsy for $39.99 (available in unisex sizes XS–4XL for human, and sizes XS–3XL for the pup). 15. A S'well water bottle so they can hydrate in style while chasing furry tails. Get a 15-oz. bottle from Target for $19.99+ (also available in 16-oz. 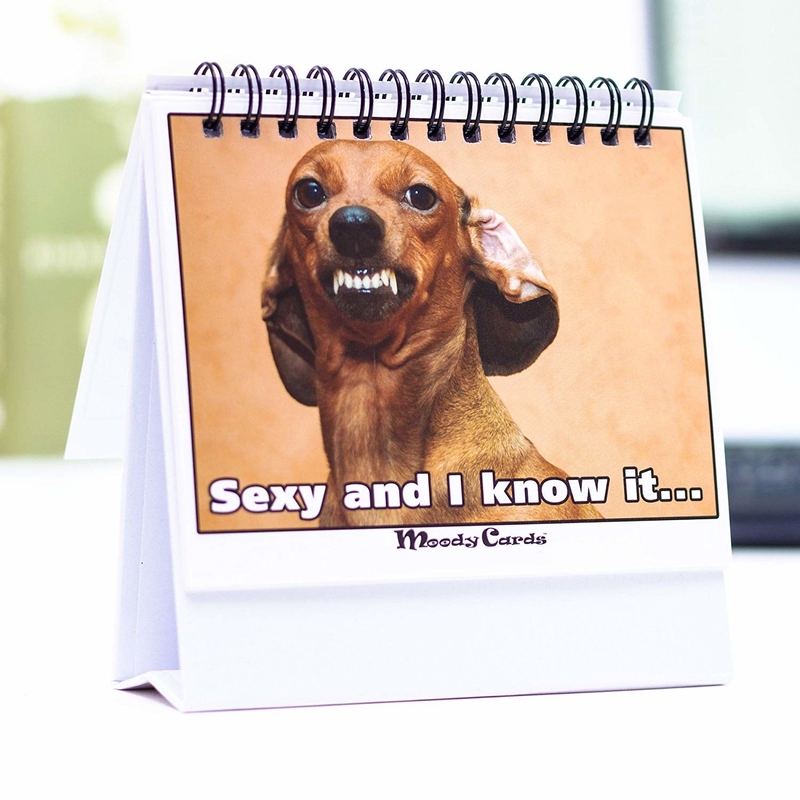 dachshund design for $24.99). 16. A shiba inu pillow for them to stretch out on the couch with. Get it from Sophie Ballantyne on Society6 for $29.99+ (available in four sizes). 17. 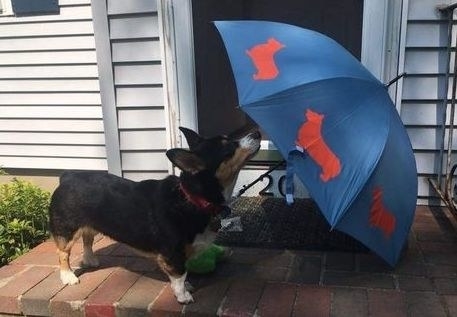 An umbrella in case it starts ~raining cats and dogs~. 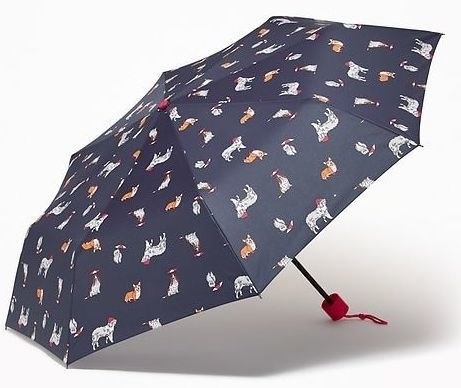 Get a 39" diameter umbrella from Old Navy for $10, or a 48" umbrella from Amazon for $39.95. 18. A minimalistic dog face clock to remind them it's time to walk the dog. Get it from Anne Was Here on Society6 for $30.99 (available in three different frames and hand colors). 19. A customizable mug that expresses the ~bone-a fide~ thoughts of most people. Get it from GoldenDesignsbySarah on Etsy for $18+ (available in two sizes and in 156 text colors; add an important name or date for free). 20. 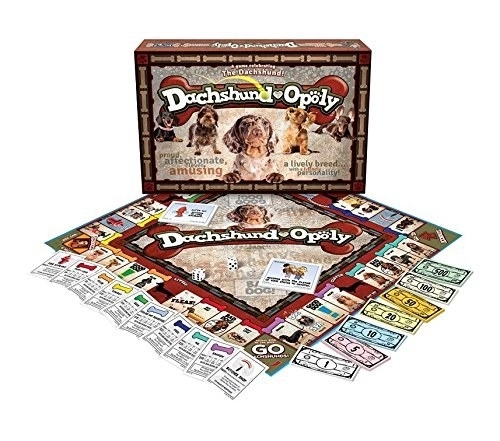 A dachshund-themed board game — be the first to ~dachsh~ through all the spaces to collect and build properties. 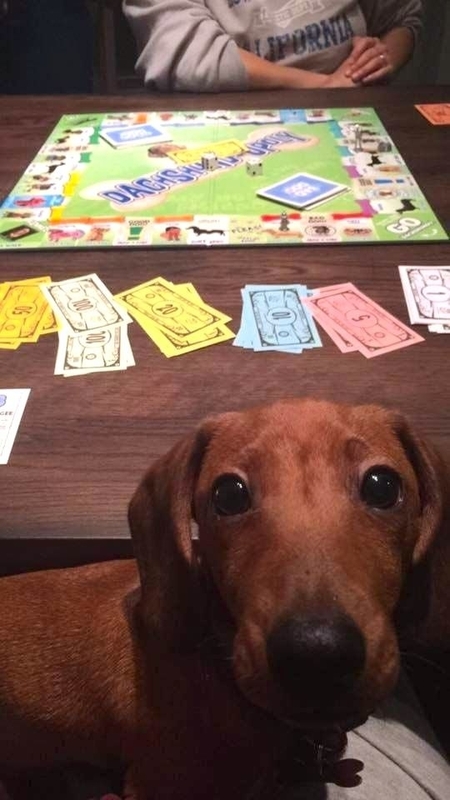 This game is an -Opoly-style board game with plenty of lovable dachshunds! To play, you roll the dice and advance based on the number you roll — but be careful, you might land in the kennel or catch flees on the way. If you're lucky, you end up in the dog park! Trade in your tokens to buy toys and increase your rent to upgrade and win! May the good dogs win! 21. And! A deck of wiener playing cards to reenact Dogs Playing Poker IRL. 22. A festive dog ornament that'll make a ~woofderful~ addition to their tree. Get it from Petco for $9.99. 23. A book full of funny dogs underwater sure to cheer anyone up after one of those days when they're drowning in work. Get it from Amazon for $12.19, Barnes & Noble for $8.74, or from a local bookstore through IndieBound. 24. A sturdy phone case that'll make them want to keep their phone face down because it's OVERWHELMINGLY CUTE. Get it from PetFriendly on Society6 for $35.99+ (available in all sizes for iPhone and Galaxy S4–S8). 25. 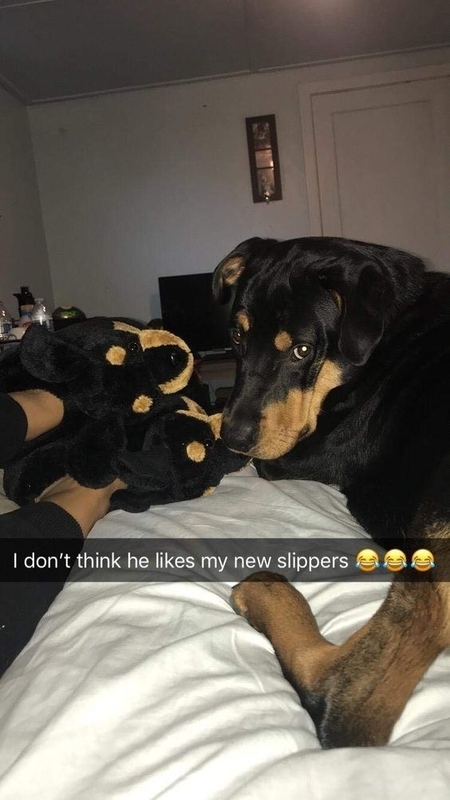 A pair of rottweiler slippers that look JUST like the real thing. Get it from Amazon for $19.99 (available in sizes S–XL). 26. A dogs are greater than people sticker that isn't far-fetched at all. This sticker is printed on waterproof vinyl! Get it from StickerShokShop on Etsy for $2.99. 27. 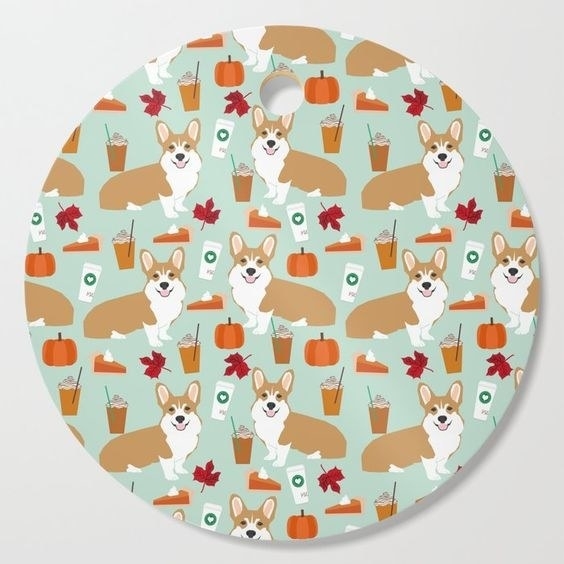 A 2-in-1 cutting and serving board with their fav animal and fav drink — pumpkin spice latte. Get it from Corgi Crew on Society6 for $25. 28. A set of doggy gel pens to jot down all your ideas — the paw-sibilities are endless! These gel ballpoint pens are 0.5mm in black-ink. Get a pack of 12 pens from Amazon for $12.68. 29. 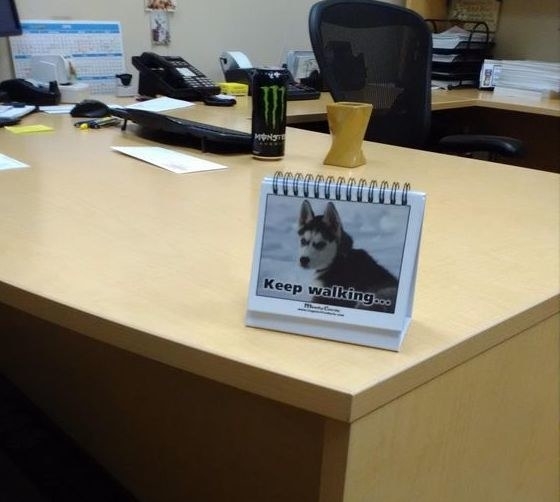 A fur-king hilarious office mood deck. BIG mood. 30. A candle that blames the dog for farting, though we all know who the real culprit is. This 16-oz. candle can burn for 80-100 hours. 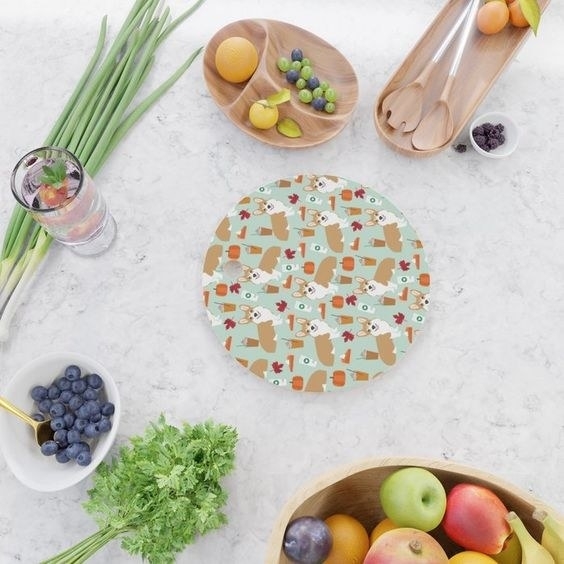 Made with soy-based wax, it won't emit harmful CO2 into the air! Also, 10% of the proceeds will go towards animal rescues/shelters! Get it from KnoxsFavorite on Etsy for $18 (available in 19 scents). 31. 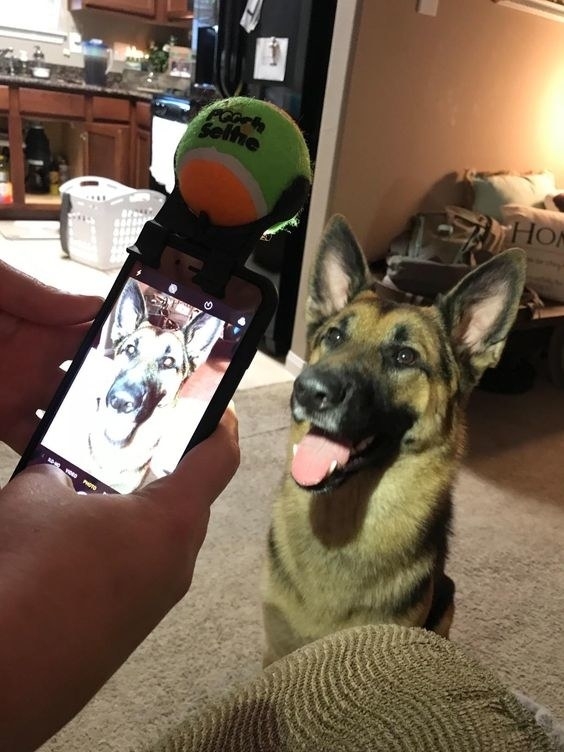 A dog selfie stick so they can take Insta-quality pics with any pooch like a true "pup-parazzi!" 32. A super soft throw blanket that they can pet while watching Marley & Me for the 20th time. 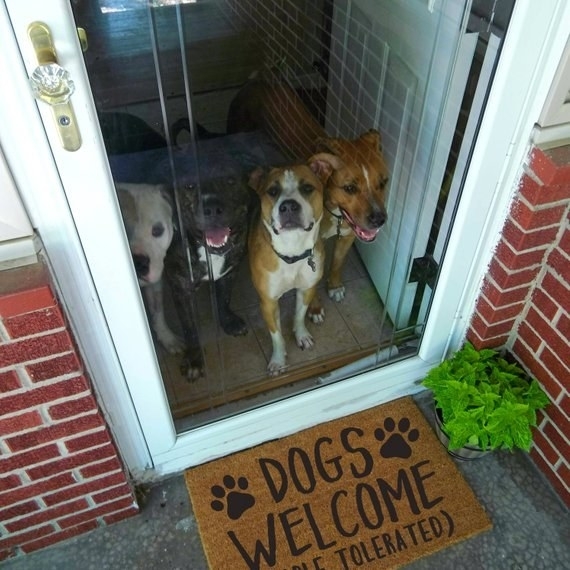 Get it from PetFriendly on Society6 for $59.99. Get it from Target for $1.99.